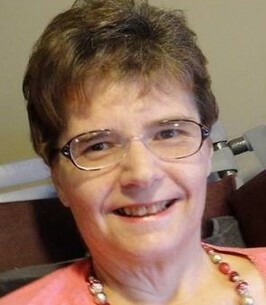 SUTTON: Nancy Diana Heck was born July 24, 1965 in Worcester, MA and passed February 5, 2019 at the age of 53. Nancy is the daughter of Robert and Nancy (Cutting) Heck of Sutton, MA. She leaves her sister Heidi Heck of Shirley, MA; her brother David Heck and his wife Gina of Auburn, MA; several aunts, uncles, and cousins, and many friends. Nancy grew up in Sutton, MA and was a graduate of Sutton High School. She cultivated her appreciation for poetry and arts, and enjoyed participating in productions with the Worcester County Light Opera Club. Nancy was a member of the Sutton Congregational Church where she sang in the choir for many years. She continued to pursue her love of writing and earned her B.A. degree in English from Worcester State University. For the majority of her adult life she lived in Whitinsville, MA and was a member of Alternatives (Open Sky) and its affiliate program, Club 21. This group allowed Nancy to establish her independence and become a strong advocate for others struggling with mental illness. She raised awareness by speaking publicly about her experiences and inspired others to achieve their potential. Last year Nancy fulfilled her greatest dream by publishing a compilation of her poetry and thoughts accumulated throughout her lifetime. Her book, The Longing Nightingale, was released on Amazon in August 2018. Over the last year of her life, Nancy was diagnosed with Stage 4 cancer. 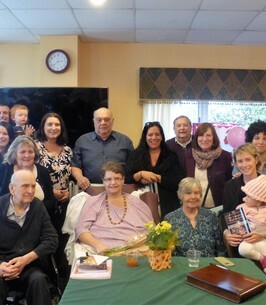 Despite this challenge, Nancy maintained a positive outlook and continued to inspire her family, friends, staff and residents at Holy Trinity Nursing and Rehabilitation Center (Worcester, MA). Nancy was truly grateful for all the love and support throughout her illness, and cherished everyone in her life. All are welcome to gather with Nancy’s family and friends Tuesday February 12th from 10am-12pm at Roney Funeral Home 152 Worcester St. N. Grafton, MA 01536. Burial will be private at her family’s convenience.